Lean in 15 - The Shift Plan features a hundred recipes for nutritious, quick-to-prepare meals - including his bad-boy burrito and oaty chicken - and guides you through Joe's signature HIIT (High Intensity Interval Training) home workouts - revealing how to combine food and exercise to ignite intense fat-burning. It will teach you how to fuel your body with the right food at the right time so you burn fat, build lean muscle and never go hungry. Joe Wicks, aka The Body Coach, has helped tens of thousands of people achieve new levels of fitness and fat loss with his 90 Day Shift, Shape and Sustain programme and his Instagram account. Joe has a BSc (Hons) in Sports Science from St Mary's University, is a REPS (Register of Exercise Professionals) Level Three personal trainer and is an advanced boxing coach. 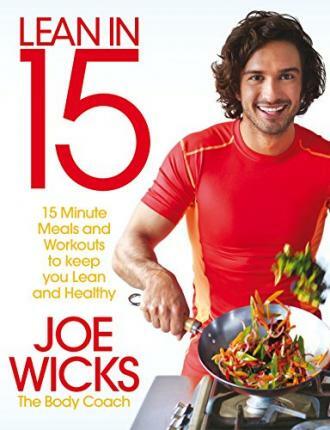 His Lean in 15 titles won platinum and gold awards at the Specsavers Nielsen book awards and Joe's first book Lean in 15: The Shift Plan has become the bestselling diet book of all time. He is also the author of Cooking for Family and Friends and The Fat-Loss Plan.